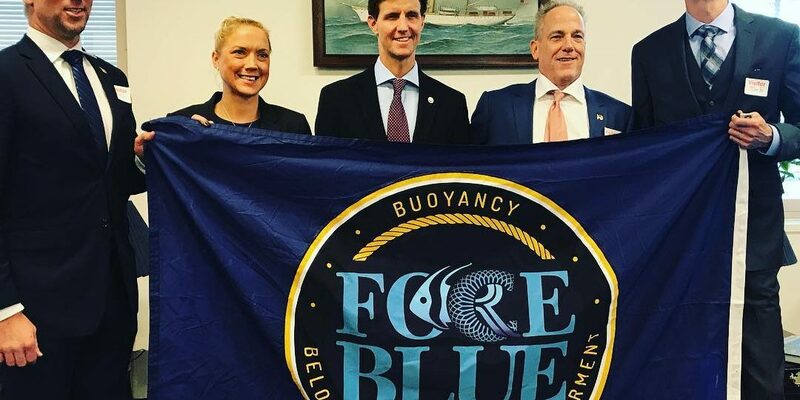 The goal of these meetings was to not only raise awareness within government circles of FORCE BLUE’s mission to preserve and restore, but to make the case for why protecting NOAA’s annual budget and the opportunities it affords NOAA partners like FORCE BLUE is so critically important. The fly-in was, by all measures, an unmitigated success. Despite facing severe federal funding cuts, ALL of NOAA’s budgets remained intact for 2018 and were, in some cases, slightly increased for 2019. Furthermore, FORCE BLUE engaged in preliminary talks with a number of legislators from states and territories across the U.S. who are interested in drafting an appropriations bill that, if passed, would help fund FORCE BLUE operations well into the future.